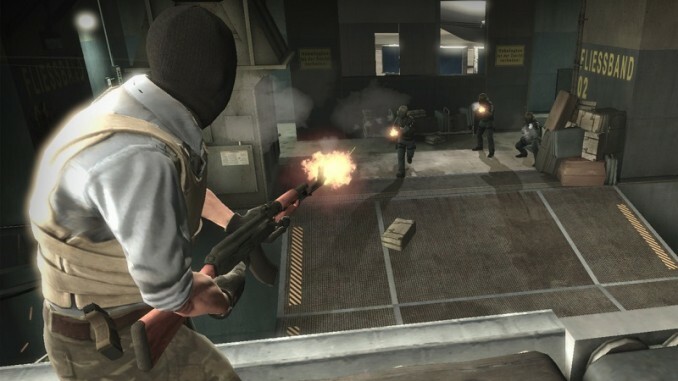 The North American CS:GO scene in 2018 was an unpredictable ride, largely due to the roster changes that were made. The most important moment was when Cloud9 made a miracle run at the ELEAGUE Boston Major. Particularly of note was their ability to take down the team against whom they have had the worst record, FaZe Clan. This five-man roster planted their name in the history books, taking home the first ever Major victory for North America. However, despite this, and an overall improvement in the team, star player Stewie2K decided that he could find more success elsewhere. In-game leader tarik would later join Stewie2K with Skadoodle retiring later in the year. On a more consistent note were Team Liquid, who after the acquisition of both NAF from Renegades and TACO from MIBR, ended up being the best North American team in quite some time. Unfortunately, they are more known this year as the team that always came up short, in particular to the Danes of Astralis, who to be fair are considered one of the best five-man rosters in the history of the game. Liquid did form a dangerous three-headed monster in Twistzz, EliGE and NAF, which is arguably the best trio currently in the game given the fall off of some other squads, especially late in the year. Twistzz has unfortunately had some medical issues down the stretch, but Liquid are looking to take the next step and become the best team in the world. Another team that had an overall impressive year were NRG Esports, who combined veterans and young raw talent in order to rise up the rankings. Led by in-game leader daps and FugLy, NRG ended up with their own potent duo alongside former CLG member nahtE, Bulgarian primary AWPer (sniper) CeRq and a consistent rifler in Brehze. Some discounted this roster given the presence of daps and FugLy, but the veteran pairing has been able to give the support and structure needed for the youngsters to star. An undersold story is the influence of coach ImAPet, who is most known for his ability to anti-strat players given his incredible dedication to watching demos. This was the first full year after the unbanning of the iBUYPOWER crew, with in-game leader steel eventually finding a solid home in Ghost Gaming. Alongside other veterans such as koosta and Subroza, steel and crew have been slowly climbing the ranks of tier 2-3 towards the end of the season, showing one of the most impressive rises of anyone given steel was out of competitive play for quite some time. There is some intrigue entering the waning moments of the year though, as rumours have come out about the departure of Subroza, who could be replaced by FREAKAZOiD, formerly of Cloud9 and most recently Swole Patrol. One of the largest and swiftest up and downs came from compLexity Gaming, who had an incredible run to the top eight at the FACEIT London Major. There was a massive amount of hype surrounding this squad after their quarter-final exit, primarily around the promise of both yay and ANDROID. However, they swiftly fell back down to earth and appeared to be essentially a one-event wonder. There is still hope for this squad, although it would not be shocking if they look for some roster changes before the start of 2019. The largest impact made from North America during the year was not only that the teams can consistently compete amongst the world’s best, but also the quality of the teams continues to rise. Obviously roster moves will be a major part of the beginning of 2019, but there is more hope than ever for North American fans.